For some, the ideal holiday means rest and relaxation, where “shop ‘til you drop” is regarded as a legitimate form of exercise. For others, R&R translates as “ready and raring to go”…on challenging up-hill trails, if possible. 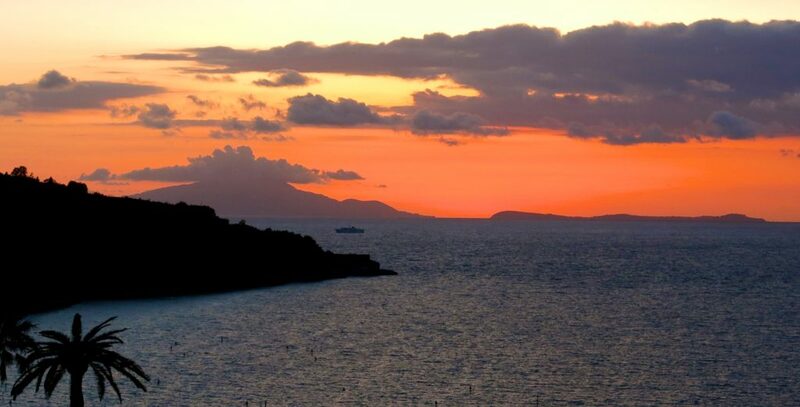 Italy’s Sorrentine Peninsula offers the perfect setting for both extremes. If six-inch stilettos are your style, choose Sorrento. If your “good shoes” are the pair least caked with mud, you’ll probably prefer Positano. Read on for tips on making the most of la dolce vita, however you define it. 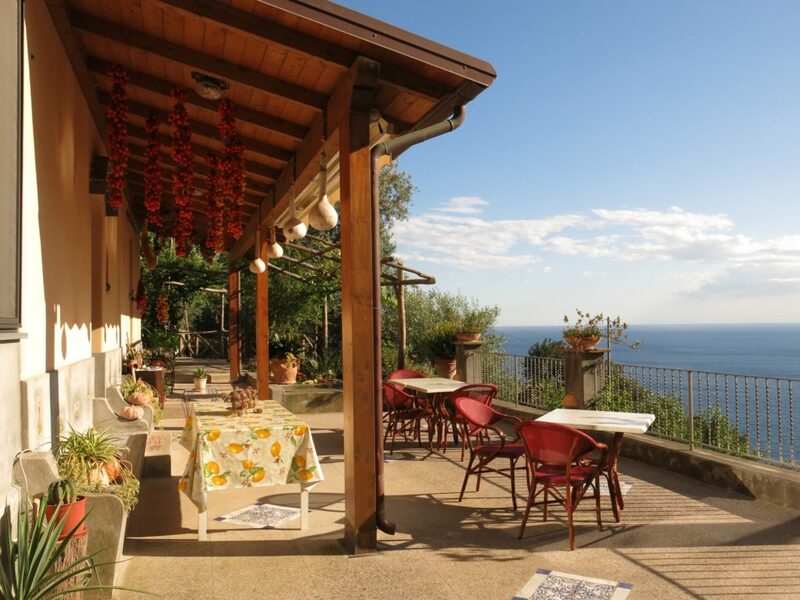 On the north, overlooking the Bay of Naples, Sorrento is a civilized little city, filled with interesting stores, scores of restaurants, and cafes tailor-made for a sunset aperitif. Above all, it is beautifully, blessedly flat. 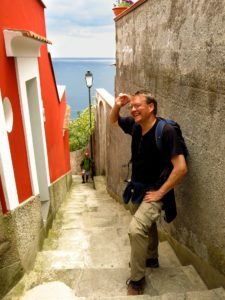 Walking more than 100 feet without encountering a steep slope or an even steeper set of stairs is something you’ll quickly learn to appreciate when you cross over the Lattari Mountains, the spiny backbone of the peninsula, and arrive on the Amalfi Coast. 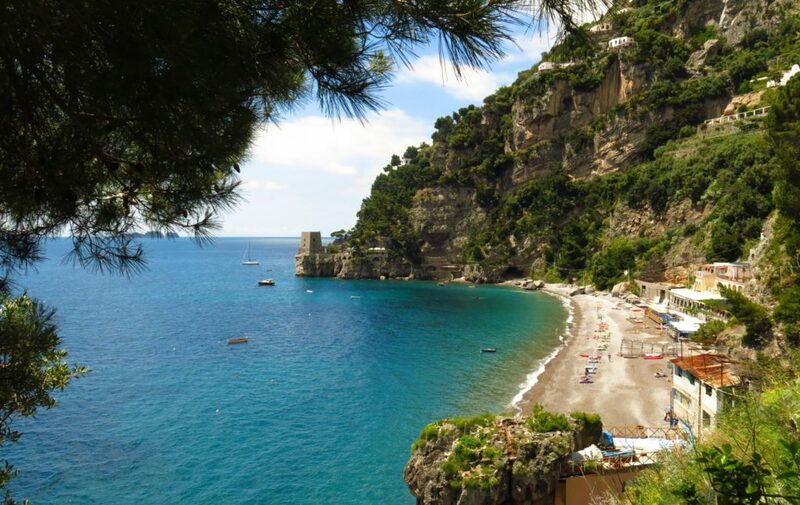 This is perhaps Italy’s most scenic stretch of coastline. 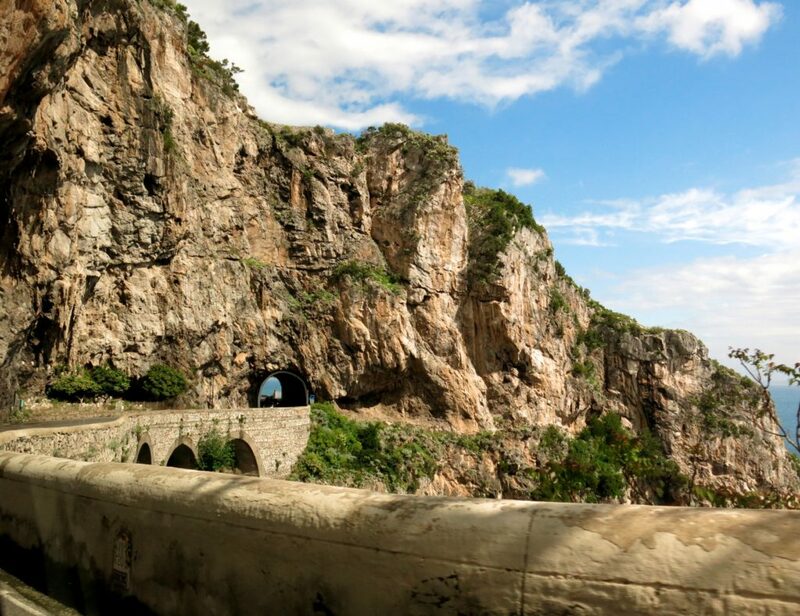 The road is curvier than Marilyn Monroe in a bikini, with hairpin turns that snake between jagged mountains on one side and eye-popping drops to the sea on the other. Even more impressive than the road are the villages themselves, which cling to cliffs with the tenacity of cacti in the desert. Some seem to have been designed by an especially sadistic fan of M.C. 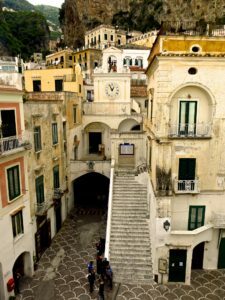 Escher, with endless staircases leading to, well, more endless staircases, as epitomized Atrani, one of the tiny gems along the coast. 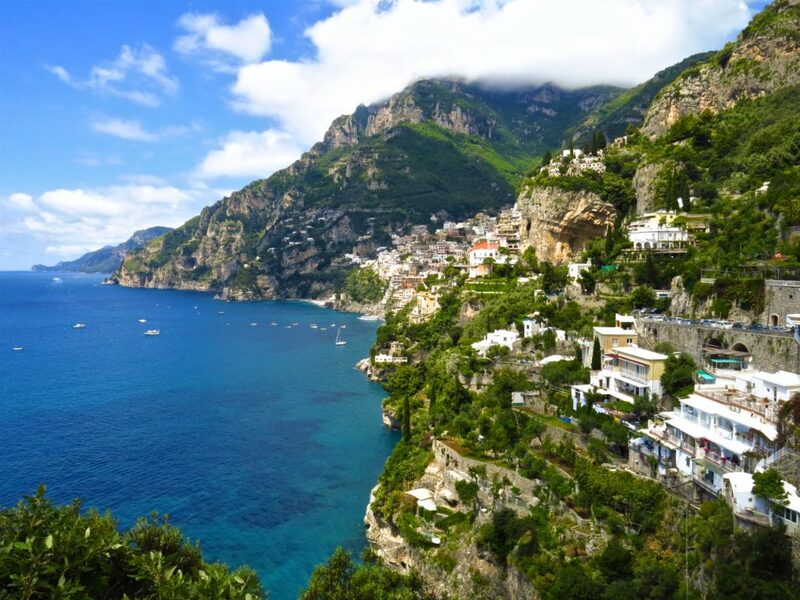 But the most famous of them all, with its Jenga-like jumble of gravity-defying bungalows, bougainvillea-draped terraces and jaw-dropping views, is postcard-perfect Positano. I begin my Sorrentine sojourn strategically ensconced in the Grand Hotel Excelsior Vittoria Sorrento. This 19th century grande dame, encompassing three architecturally distinct buildings, as well as a pool and a spa, embraces five acres of gardens between the Gulf of Naples and the Piazza Tasso, one of Sorrento’s buzziest squares. 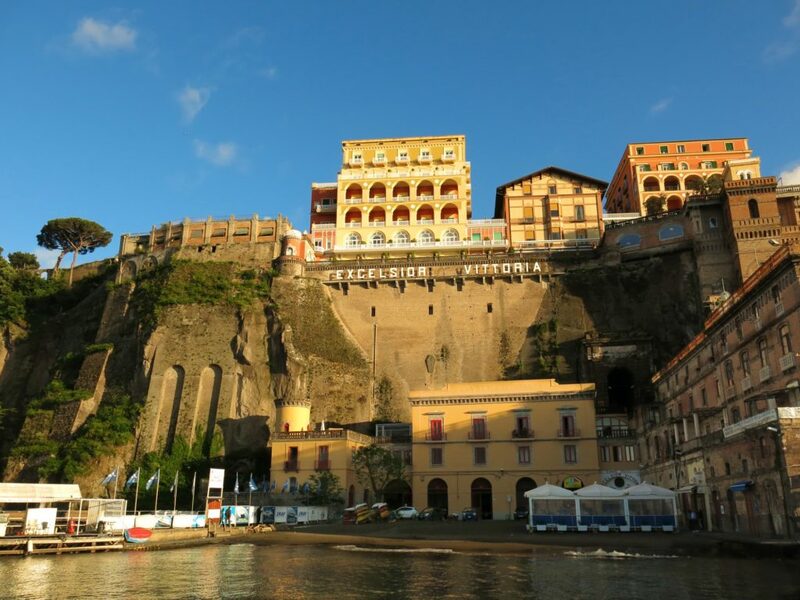 The Grand Hotel Excelsior Vittoria above the marina in Sorrento. Don’t worry, though. You don’t have to scale a cliff to reach it. (There’s an elevator…and a front door, too). 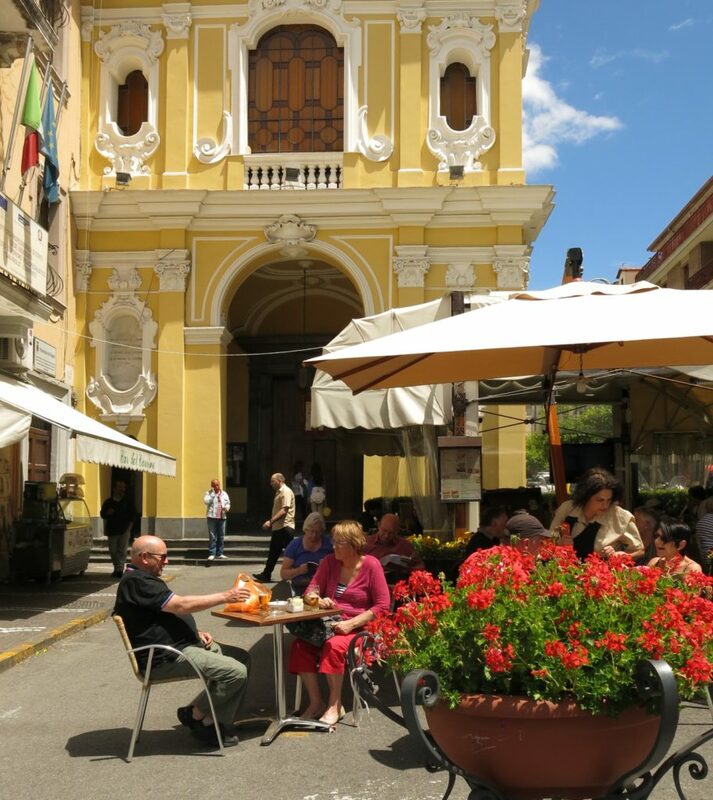 The sprawling terrace of Fauno Bar on the piazza is Sorrento’s best places to see and be seen–and enjoy a tipple of limoncello, a liqueur produced locally from the lemons that grow like weeds here. If you like what you taste, check out Sorrento Food and Stuff by Fattoria Terranova next door. 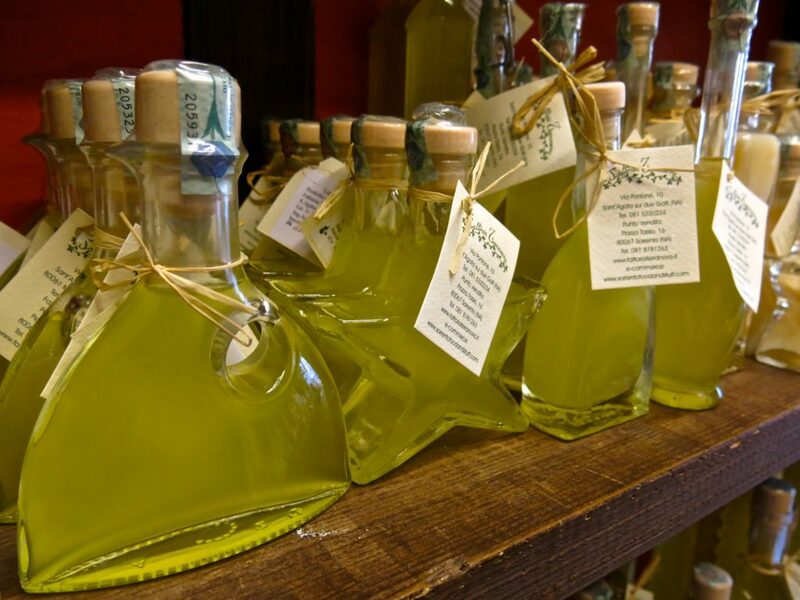 This shop sells not only limoncello but a whole variety of products grown on the Ruoppo family’s organic farm: lemon biscuits, lemon marmalade, lemon olive oil, dark chocolate with lemons. Yep. The Ruoppos have all your lemony needs covered. To the west, boutiques line a loose grid of streets. 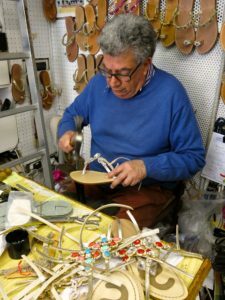 On Corso Italia, interspersed among Benetton, Max Mara, and Mario Palumbo Gioielli (an Aladdin’s Cave of glittering watches and jewelry from Gucci, Chopard and Armani), I pause to watch Toni Corcione at work in Sandali Corcione, fashioning sandals by hand as his ancestors have done here since 1925. 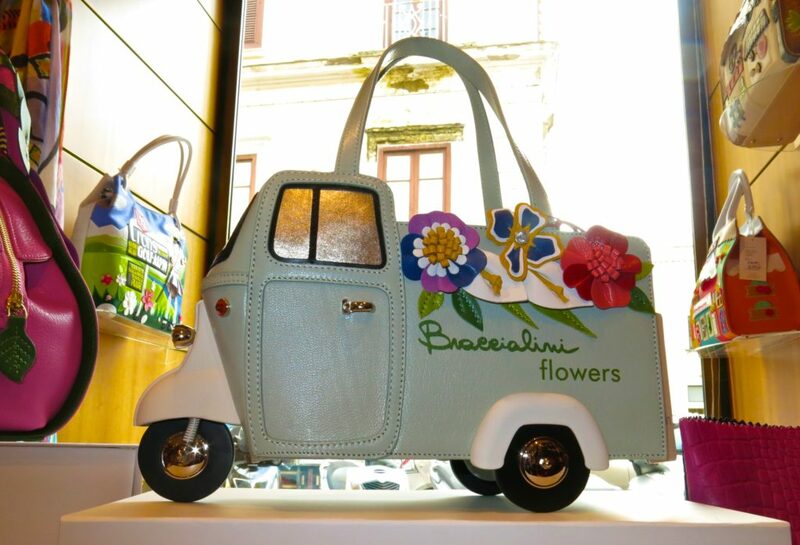 At #90 Corso Italia, Aponte Antonino sells more leatherwork, including men’s accessories and wonderfully quirky handbags shaped like flower trucks or emblazoned with old-fashioned scenes of Monaco and New York. On cobblestoned Via Fuoro, the formidable Ciro (who, like Cher and the late, great Prince, seems only to use one name) presides over Da Ciro Taverna Napoletana. This ship-like niche of a bar serves just two types of organic wine—red and white—and heaping plates of prosciutto, cheese and olives. With an eclectic soundtrack ranging from Serge Gainsbourg to Seal, I could happily while away an afternoon here. But curiosity gets the better of me, and I double-back east along Via Fuoro, where shop goods spill out into the street. 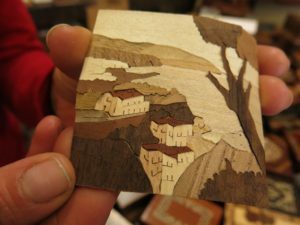 At Augusto & Luca Workshop at 50/c, I’m drawn in by the intricate in-laid wood marquetry—a renowned Sorrentine discipline—carried on here by generations of family craftsmen. 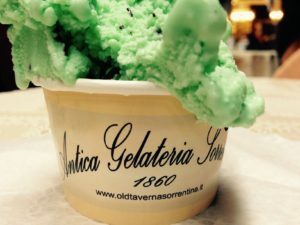 Feeling it’s my duty to “research” yet another Italian specialty—gelato—I allow myself to be lured by the promise of a free sample at Antica Gelateria, which has been serving creamy scoops since 1860. As I delve into a cup of mint chocolate chip, I chat with silver-haired proprietress Teresa Gargiulo, who sees me off with an unexpected hug. I’ve left just enough time for a cocktail before dinner at the superb Terrazzo Bosquet restaurant at my hotel. Inside at the palm-fringed Vittoria Bar, a pianist plays “Caruso,” a famous Italian ballad composed here by Lucio Dalla, while outside, the sinking sun extinguishes itself in the gulf in a fiery blaze. Heaving a contented sigh, I reckon it’s been the perfect day—and I never had to break a sweat. When my friends invited my husband and me to join them at the Rifugio degli Dei above Positano, I knew I was in for a very different sort of vacation. The B&B’s website advises that it’s “around 240 stairs” from the road, but I’m sure that I count at least 360 steps to our aerie on the night we arrive. In the morning, though, with the sun shining brightly into our little apartment, I understand why they chose this place. From our window or the spacious terrace, I can gaze out over the humped peaks of the Amalfi Coast, rising like a Jurassic beast from shimmering blue water, with the cascading rooftops of Positano nestled in its folds. From the road, you can hike down another 250 or so steps to a tiny, deserted beach, or follow the sinewy asphalt more than a mile into town, past shops and stalls leading towards the main beach, Spiaggia Grande. A further ten-minute hike (and yes, more stairs) will take you to the slightly less populated Spiaggia di Fornillo. A trek to a beach is a walk in the park, however, compared to the journey to Nocelle, a tiny, twisting village about 1,400 steps further up from our B&B. 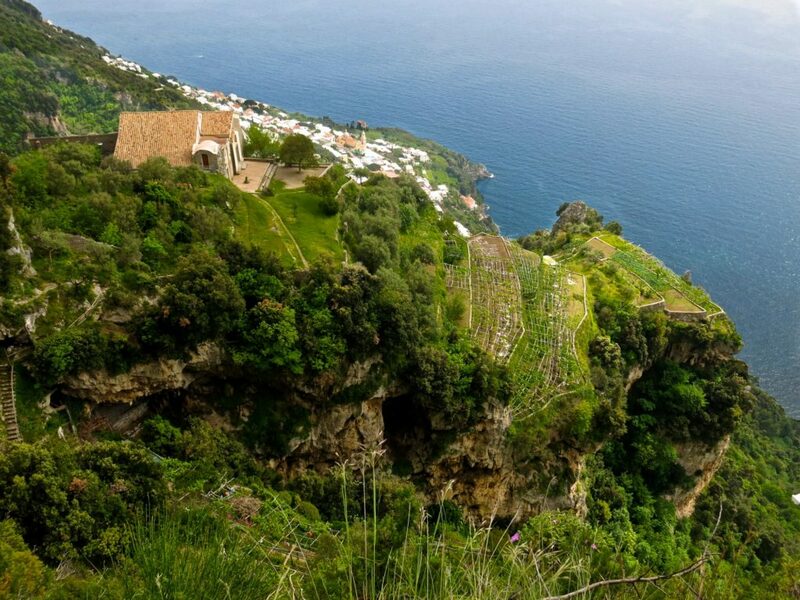 This is just the first leg of the Sentiero Degli Dei, the Path of the Gods, which threads along mountain ridges and shady forests high above the sea. 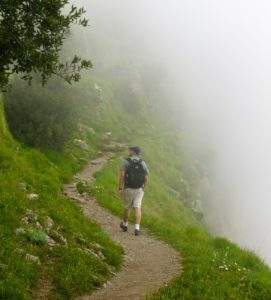 Enshrouded in fog, as it is today, it’s impossible to see if a sheer drop awaits just yards off the path. Yet it’s as ethereal as it is unnerving, with the eddying mist exposing glimpses of our surroundings like a fan dancer. As we descend, the clouds suddenly lift with the theatrical flourish of an opening curtain, and the undulating coastline is revealed in all its glory. Two days later, we undertake an even more grueling trek. Catching a ferry to Amalfi, we pause just long enough to admire Amalfi’s 9th century cathedral before beginning our journey upwards to Ravello. I lose track of the thousands of stairs we climb through terraced fields of lemon groves, but later I discover we’ve ascended 1,200 feet—nearly the height of the Empire State Building. 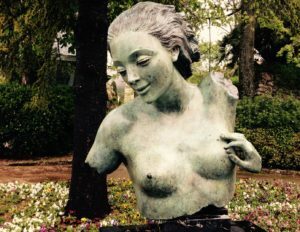 A tangled green valley yawns below, and the gardens of Villa Rufolo, which served as an inspiration for Richard Wagner’s Parsifal, offer a maritime panorama and some rather, let’s just say “intriguing” sculptures. 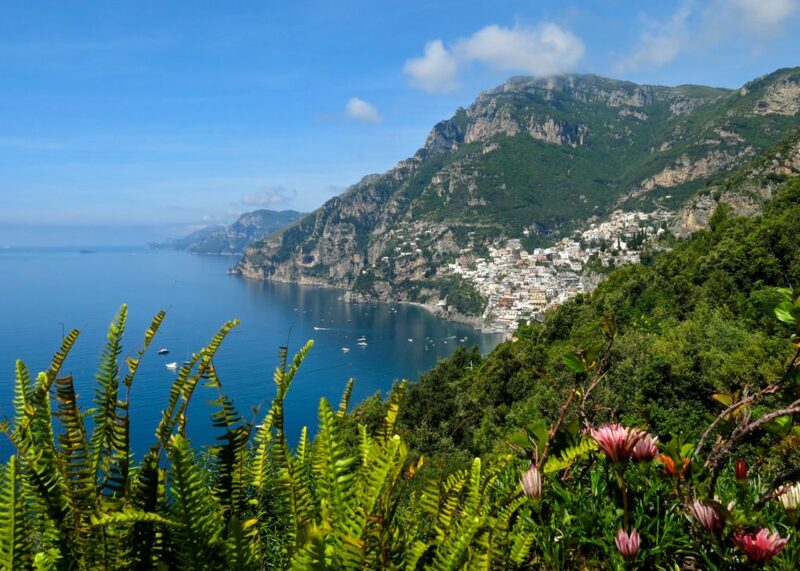 Perhaps the best part of our hiking holiday, however, is a hearty meal, whether it’s a simple pizza at La Vecchia Cantina in Ravello or a three-course feast at Il Ritrovo, perched high above Positano’s coastal attractions. Having conquered a mountain or two, calories are no concern. Besides, I know that each night, I still have another 360 steps to climb to our refuge in the hills. 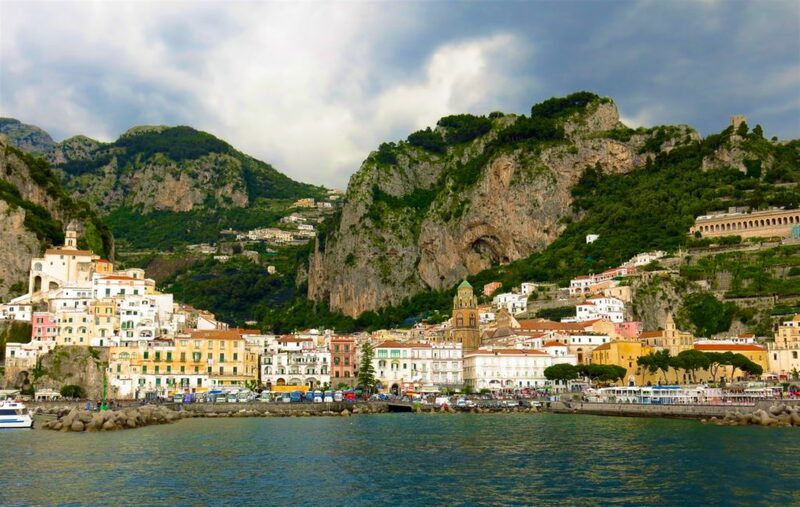 Read about my adventures in these nearby destinations: Capri and Pompeii. Amy Laughinghouse, May 24, 2016. No Comments on Positano & Sorrento: A Tale of Two Cities. Category: City Break, Europe, Italy. 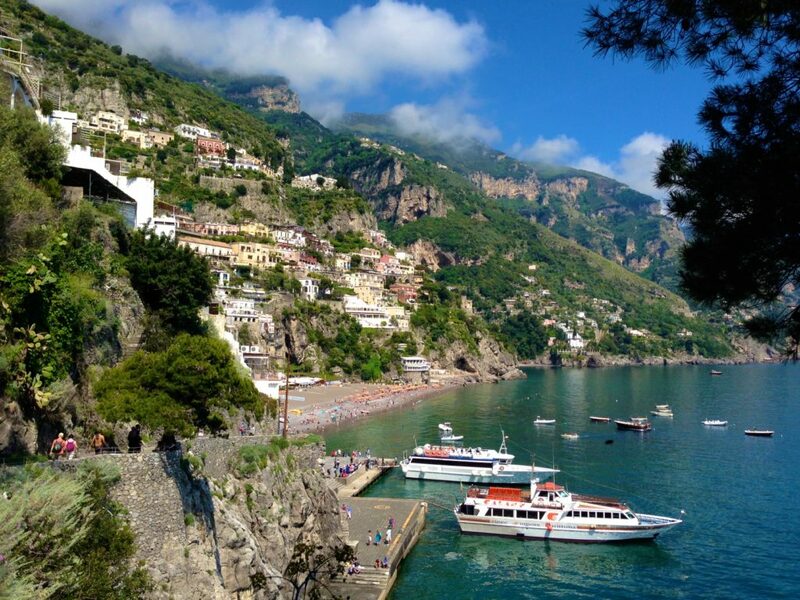 Tagged: Amalfi Coast, Italy, Positano, Sorrento, travel.